Drunk Elephant does wonders for a lot of people's skin. (Babyfacial? Iconic.) But sometimes it can be fun, necessary, or both to mix up your skincare routine. Here, we'd like to introduce you to a few lesser-known skincare brands that are similar to Drunk Elephant in that they're nontoxic, effective, and aesthetically pleasing—but maybe the products are a little more affordable or gentler or have something else about their formulas that you might want to explore. Keep scrolling for 11 brands worth checking out if you like Drunk Elephant. Sustainable, clean, results-driven skincare is what you can expect from this brightly packaged line. 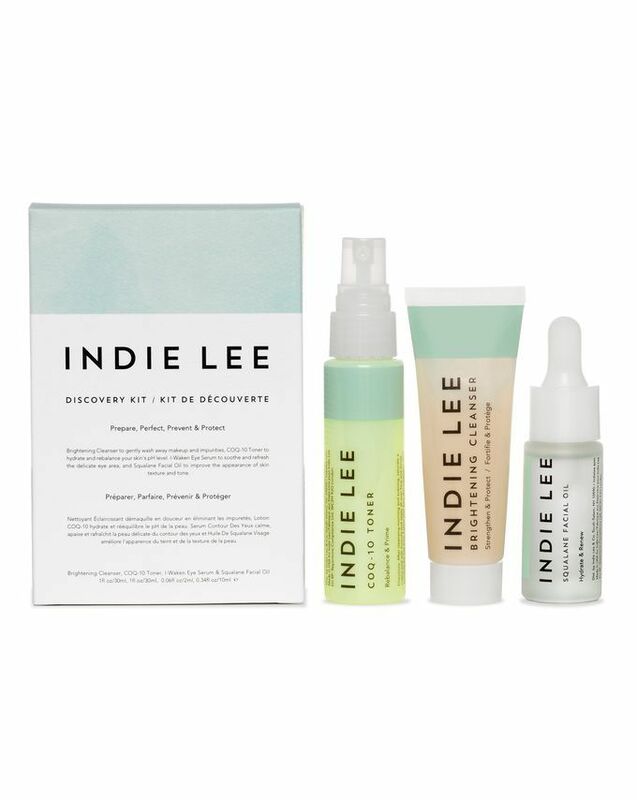 The brand was founded by Indie Lee herself after she was diagnosed with a life-threatening brain tumor, beat the odds, survived, and resolved never to put toxic ingredients on her skin again. The result? Effective products with organic ingredients you can pronounce, like squalene, hyaluronic acid, and other powerful plant extracts. After you're done Instagramming this highly aesthetic brand, spend an evening slathering your face with its formulas, which are chock-full of active, plant-based ingredients (and sometimes infused with crystals—again, did we say trendy?). We especially love the naturally exfoliating Brighten Pineapple Enzyme + Gemstone Instant Glow Mask ($48) and blemish-reducing Lapis Balancing Facial Oil ($72). If you're looking to turn your skincare routine 100% natural and organic without making your countertop look like a farmers market, may we suggest this super-pure brand? Some of its products do contain coconut oil, so proceed with caution if you have acneic skin, but we are quite taken with its nourishing Vitamin E eye balm, as well as its antioxidant body serum, which comes in a genius spray bottle and will leave your skin absurdly soft. YTTP is vegan, earth-friendly, and gentle but also on the cutting edge of effective plant ingredients. Its Adaptogenic Deep Moisture Cream is one of the most soothing moisturizers I've tried, and its non-sticky, non-pore-clogging, but super-hydrating Superberry Mask has become a staple in my routine. It doesn't hurt that the packaging is hip and the price point fair. Several skincare-obsessed celebrities we've interviewed lately have named this luxurious, nontoxic, vegan, and cruelty-free brand as their holy grail. The products pack unique plant ingredients aimed to protect your skin and add major glow, like age-defying seaweed extract, organic algae, vitamin C, and ferulic acid. The products are all-natural, effective, and feel really decadent, like spa products—minus the irritating fragrances and synthetics. This sleeper-hit, Korean-made brand formulated for sensitive skin types low-key has everything you could want in a beauty line: zero harsh ingredients (like parabens and fake fragrance), research-backed formulas, and a shockingly affordable price point made possible due to a lack of pricey PR and marketing. Klairs consumers hear about the brand from word of mouth alone. Klairs has so many cool formulas meant to brighten, soothe, and cleanse the skin. Try mixing its Freshly Juiced Vitamin Drop, a vitamin C serum, into your moisturizer for bright, non-irritated skin. The skincare guru community flipped out when K-beauty retailer Peach & Lily launched its own line last year. The affordable collection incorporates all of South Korea's most forward-thinking skincare technologies. Don't miss its Glass Skin Refining Serum, aimed at giving you that bouncy, intensely dewy look thanks to ingredients like peach extract, niacinamide, East Asian mountain yam, madecassoside, peptides, and hyaluronic acid. This British brand is available at clean beauty retailer Credo, and good lord is it adorable. If reasonably priced, prettily packaged skincare made with simple, nourishing formulas is your jam (which, like, it should be), be sure to check out its highly rated strawberry facial oil, which packs a hydrating blend of omega-3s and -6s, as well as its multitasking Babe Balm, which boasts a ton of skin-forming coenzyme Q10. The price point is a little higher on this decadent South African–inspired, L.A.-made brand, whose antioxidant-rich formulas are eco-friendly, all-natural, and aimed at helping you age gracefully and radiantly. Like Drunk Elephant, African Botanics' star ingredient is marula. The brand harvests it from biodynamic trees in South Africa (which basically means they're grown in the healthiest, most sustainable way possible). Do natural skincare the Parisian way with this French pharmacy brand (a personal favorite). The impressive product range, which is budget-friendly and conveniently available at Sephora, offers clean formulas for every skin type. When I'm dealing with clogged pores, I swear by the Vinopure collection, especially the 100% natural salicylic acid serum ($49), which has a gel formula that works miracles to clear up congestion. This newly launched, fairly priced brand uses ethically sourced, nutrient plant ingredients like carrot seed oil, ginseng, and olive squalene to treat a myriad of concerns, like severe dryness and skin damage from pollution. You can feel especially good about investing in the brand's cheerfully packaged products: It partners with a nonprofit called She's the First, which provides access to education for girls who wouldn't otherwise have it all around the world. Next: Celebs over 40 swear by these holy-grail skincare products.